The G20 Finance Ministers and Central Bank Governors have highlighted that cyber threats can pose a risk to financial stability. The G20 heads of state can contribute to reducing this risk by explicitly committing not to undermine the integrity of data and algorithms of financial institutions in peacetime or during war, nor to allow their nationals to do so and to cooperate when such attacks do occur. [ii] States’ reliance on financial data and the system’s interdependence is likely to increase. For example, in December 2015, the New York Times ran a story about the Swedish government’s effort to move the country to an entirely cashless economy, and the UN is supporting countries’ efforts toward cashless economies through its Better Than Cash Alliance. The Indian government is also pursuing a cashless economy. Better Than Cash Alliance (last visited April 21, 2016). The G20 Finance Minister and Central Bank Governors should be commended for urging improvements in the resilience of the global financial system and for highlighting the risk to financial stability through the malicious use of ICT. The 2016 Bangladesh central bank cyber incident exposed this new threat and the unprecedented scale of the risk that malicious cyber actors pose to financial institutions. [i] The economic crisis that erupted in 2007 highlighted generally how important trust is for the global system and how fragile it can be. But governments should not only ask the private sector to do more; governments themselves can help reduce the risk to financial stability. 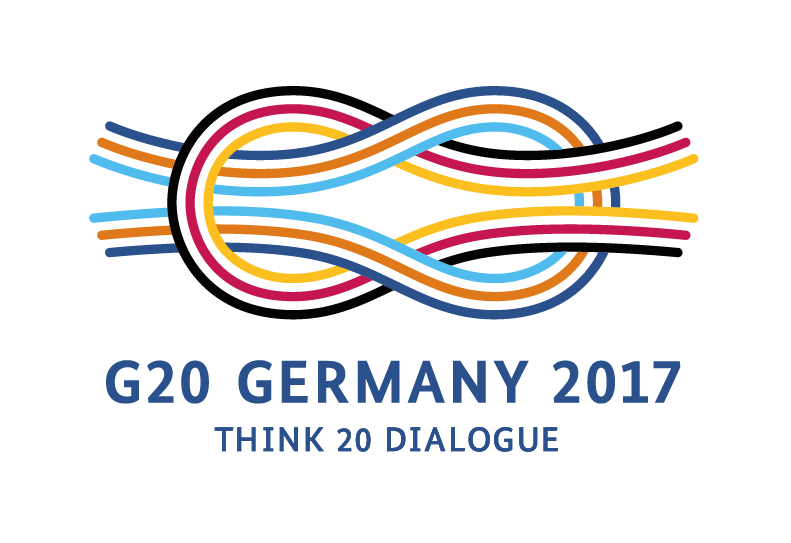 The G20 heads of state could commit their countries explicitly to refrain, in peacetime and during war, from using offensive cyber tools to corrupt the integrity of data in the financial system and to cooperate when such attacks do occur. Using cyber operations to manipulate the integrity of data, in particular, poses a distinct and greater set of risks to financial stability. Importantly, unlike the 2007–2008 global crisis, this risk exists independent of the underlying economic fundamentals and will only increase as more and more governments pursue cashless economies. An explicit agreement against manipulating the integrity of financial institutions’ data would build on recent international efforts to develop rules for cyberspace and existing international law. The international community’s to date is the UN Group of Governmental Experts process. Yet, the group’s 2015 declaration and its G20 endorsement, thus far, lack detail and concrete steps to turn them into effective and robust security regimes. [ii] Such an agreement is therefore a particularly promising next step to operationalize what has already been agreed to and to clarify what could be considered emerging state practice. States share a common interest due to the financial system’s global interdependence. Whereas the damaging effects of an intrusion targeting the electrical grid, for example, will be mostly limited to a single country’s territory or immediate neighbors, the effects of an incident targeting the data integrity of a financial institution are not necessarily bound by geography. Such effects can be hard to tailor and to predict. Indirectly, a manipulation of the integrity of an institution’s data could lead to a bankruptcy that in turn could send shock waves throughout the international system. For example, the 2007 collapse of Lehman Brothers highlighted the unanticipated contagion effect the bankruptcy of even a single institution can have. The 1997 Asian financial crisis was similarly triggered by the collapse of the Thai currency and the unanticipated contagion effect across the region. Such second-order effects are also difficult to anticipate. Moreover, they may not be factored in the attacker’s battle damage assessments. Of course, in the twenty-first century, a few states that are relatively detached from the global economy, and nonstate actors who may or may not be affiliated with them, have capabilities to conduct cyberattacks against financial institutions. Such hostile actors would not be expected to adhere to the proposed commitment. Yet, the states that did endorse such a norm explicitly would be more united and would have a clearer interest and basis for demanding and conducting retaliatory action against violators of the norm, be they states, terrorists, or cybercriminals. complement and enhance existing agreements and efforts, namely the 2015 G20 statement, 2015 UNGGE report, and the 2016 cyber guidance from the Committee on Payments and Market Infrastructures and the International Organization of Securities Commissions (CPMI-IOSCO). In order to achieve effective reciprocal adherence and be widely accepted among UN member states, the agreement should not be limited to a subset of financial institutions. The envisioned prohibition would be conveyed from states to states. If and when key states subscribe to something like the agreement proposed here, future work could seek to broaden it in terms of actors and sanctuaried targets. Defining whether and how data availability could be addressed and included in the proposed agreement requires broader expert consultation and advice. The G20 could task the Financial Stability Board to work with relevant standard-setting bodies and experts to report on this issue for further consideration. Finally, we acknowledge that other sectors, such as telecommunications and energy, and the integrity of data of other systems are critical for the financial system. However, any agreements covering these sectors are even more complicated to negotiate and to implement effectively. We therefore offer this proposal as the start for what is likely going to be a prolonged process until an effective comprehensive security regime can be put in place. [iv] The Ministry of Foreign Affairs of Russia, “Convention on International Information Security (Concept)” 9 September 2011. This T20 policy brief is based on the forthcoming white paper “Toward A Global Norm Against Manipulating the Integrity of Financial Data” published by the Carnegie Endowment for International Peace. Krishna N. Das and Jonathan Spicer, “The SWIFT hack - How the New York Fed fumbled over the Bangladesh Bank cyber-heist,” Reuters, July 21, 2016. The Ministry of Foreign Affairs of Russia, "Convention on International Information Security (Concept)" 9 September 2011.